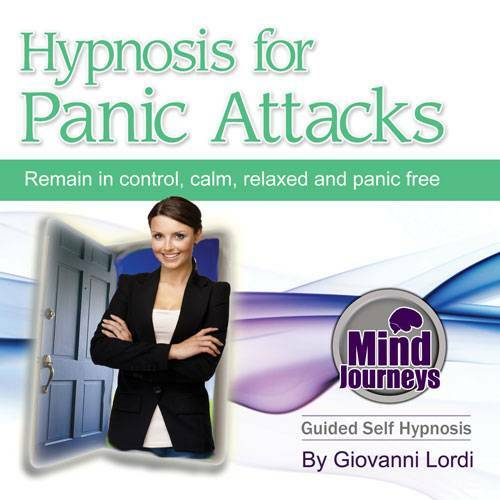 Hypnosis to Help Overcome Panic Attacks & Associated Symptoms! Panic attacks can be a frightening experience, but it is possible to override the mental processes that cause them. This hypnotherapy session has been designed in accordance with specific cognitive stress & anxiety management techniques to give you a successful alternative treatment for regaining control over panic attacks. On this recording Giovanni will guide you into a nice relaxed state of hypnosis, which you can experience in the complete comfort & privacy of your own home. In this state of relaxation your subconscious becomes more receptive & open to adopting the new 'panic-free' patterns of composure & security as Giovanni introduces these to you. Repeatedly listening to this program over 6-8 weeks will ensure that this new positive mindset will become a permanent fixture in your routines & patterns, creating a new approach to life without panic attacks & associated stress. "I am worthy, I am a champion, I am a winner, feel good, confident, I can, I will, I do it, live in the moment, happy, confident, charisma, understanding, more aware." Absolutely loved this hypnosis! The quality of the recording is amazing, the voice is sooo soothing, and the suggestions seem very powerful. Definitely recommend!